I created a box containing 365 images and details describing a walk taken on each day of 2017. 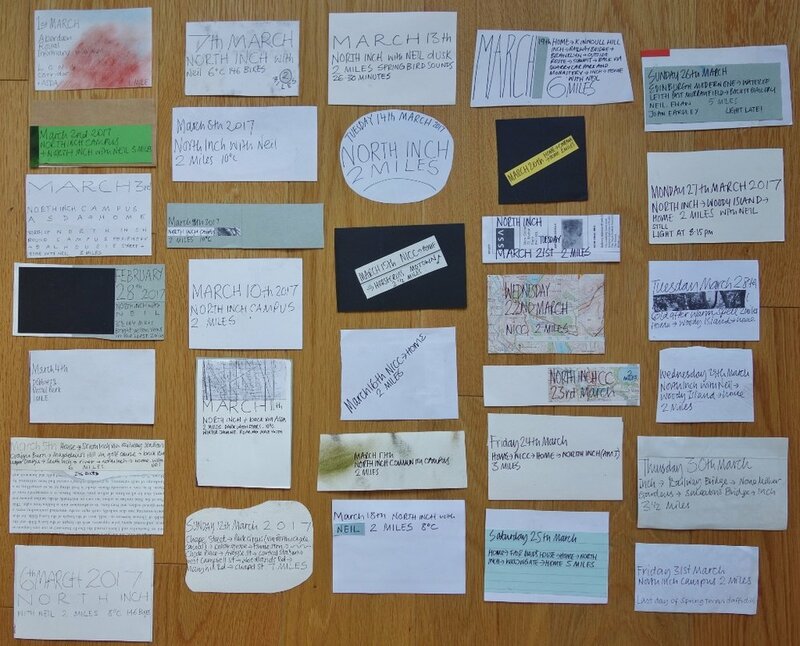 Postcard size, with a collage or drawn image on one side and details of the walk on the back, the 365 pieces form a complete record of the places I walked in 2017. 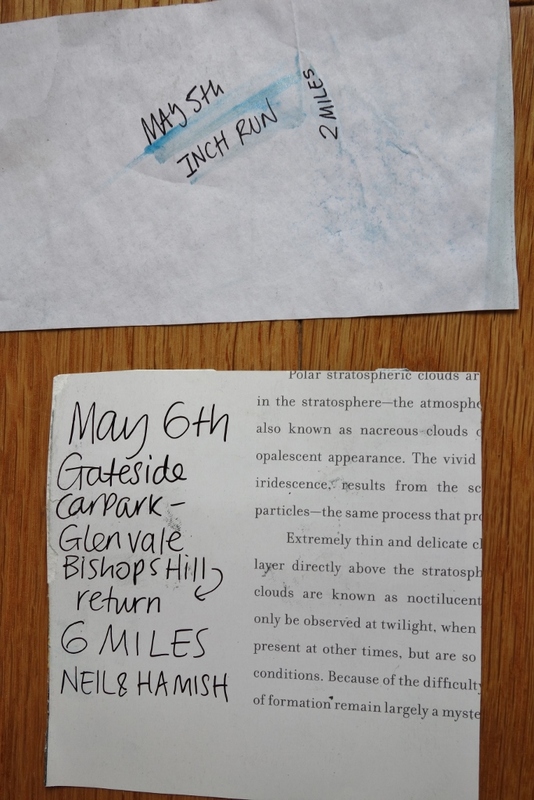 They all include the date, the mileage, who accompanied me and some also include descriptive detail, with the image on the front aiming to give a flavour of each walk. I noticed people were wearing ‘fitbits’ and were talking about counting steps and as I walk a lot I wondered if I ever walked over 1000 miles in one year. 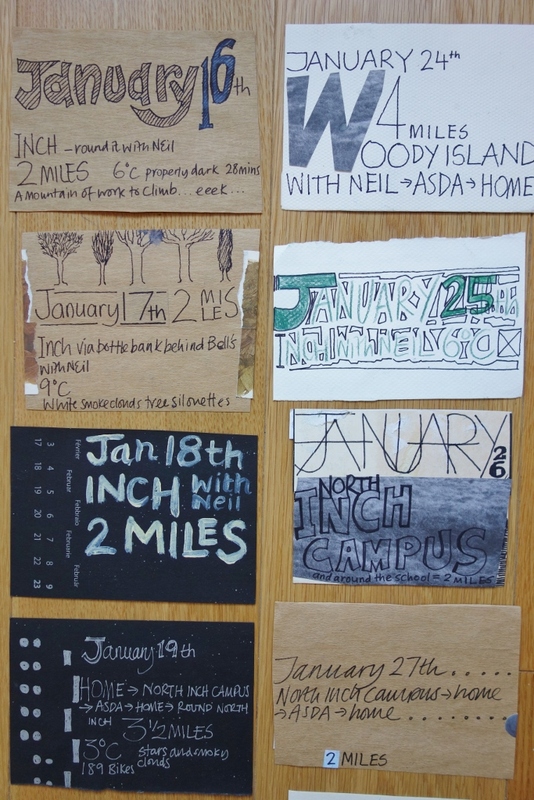 I decided to record each walk taken on each day of that year as a kind of walk diary and an art project. 2017 included a few trips away to Amsterdam, London and Greece, a walking holiday in the Cotswolds and weekend walks in the local area and further afield in Scotland. A lot of walks were straight out of my door to the North Inch Campus where I work or Asda supermarket and the local retail park or the North Inch parklands nearby. Some of the walks became runs. At the end of 2017, I put the box away as I had been so involved with it for so long, spreading out the pieces, looking at the writing. Recently I’ve begun to study it again and looking at the images afresh, some of the compositions are beginning to stand out. Working with some of the Primary 4 pupils at school we'd made huge displays of 'recycled' flowers for a couple of presentation ceremonies using scrap paper, plastic and fabric and since then I'd been looking for other opportunities to upcycle discarded items in this 'botanical' way. Given an opportunity to take part in PVAF's Art Trail in March I installed a series of single use plastic bottle 'blooms' in a border of periwinkle at Branklyn Gardens in Perth. Titled Invasive Species, they allude to the encroachment of overpowering alien plant species on natives and of plastic litter into the natural environment. Delighted to be invited to install work at the 2017 Dundee Mountain Film Festival. An excellent opportunity to show mountain drawings, collages and paintings in one place and they hung together well. 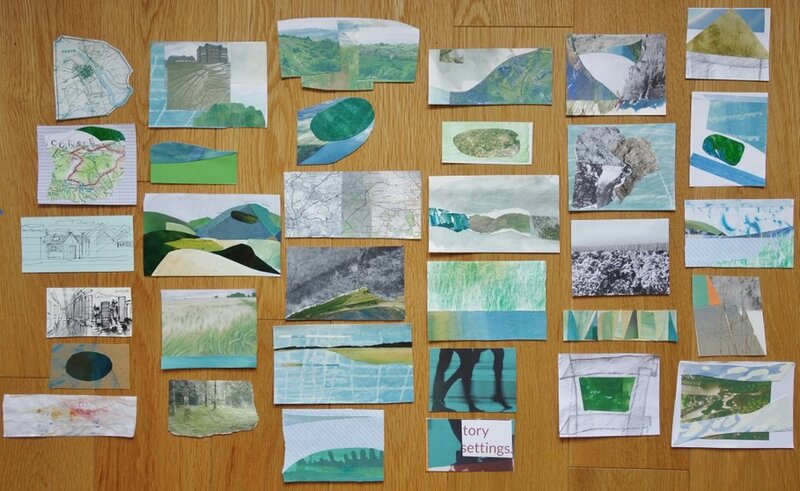 Really useful to see how individual pieces can mark a departure point to a divergent area of interest - mountain - mountain collage - mountain with moor - moor. An interesting write up in the Scotsman too. 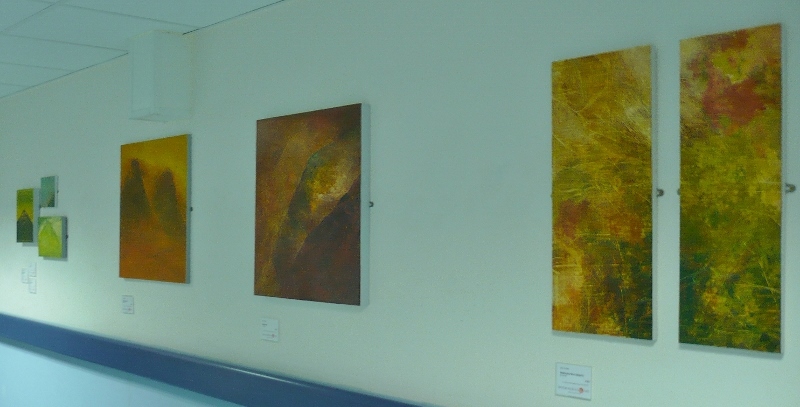 Really good the see recent drawings up together with mountain paintings in the Grampian Hospitals Art Trust's Small Gallery at Aberdeen Royal Infirmary. Offered the exhibition back in late December 2016, once Christmas was over I took some time out from other work to start a series of 'close up' composite drawings for it. 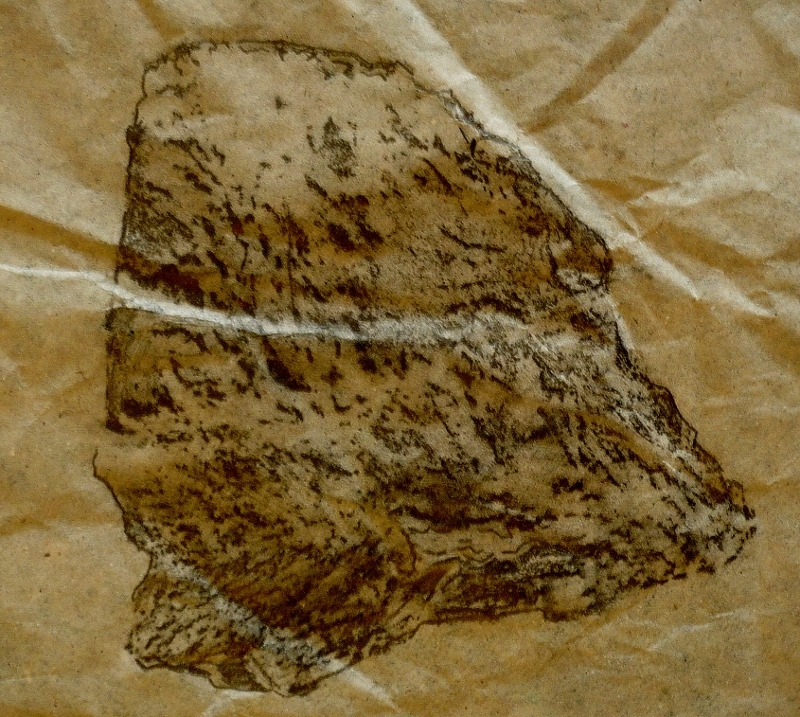 I wanted to show them alongside previously completed mountain paintings and large scale drawings. 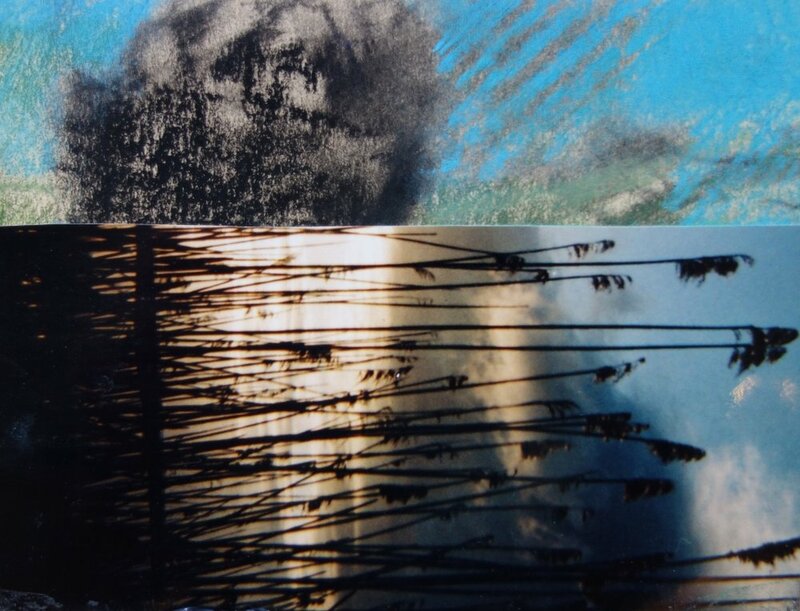 Walking across moorland I was becoming as interested in what lay underfoot as the wider landscape. 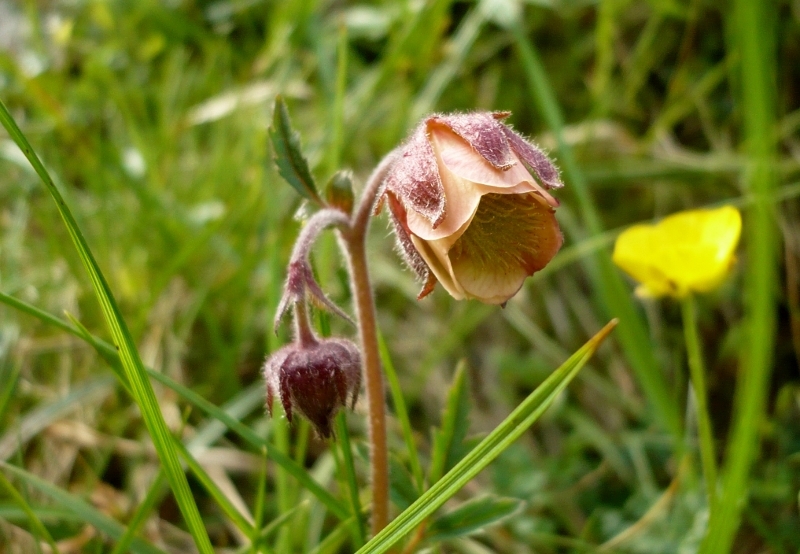 What at first glance seemed a relatively featureless terrain was in fact full of flora rich in variety, colour and detail. Focusing in on the intricate world of spagnum moss beds, grass clumps and rocks, my aim was to represent these features and textures as landscapes in themselves. 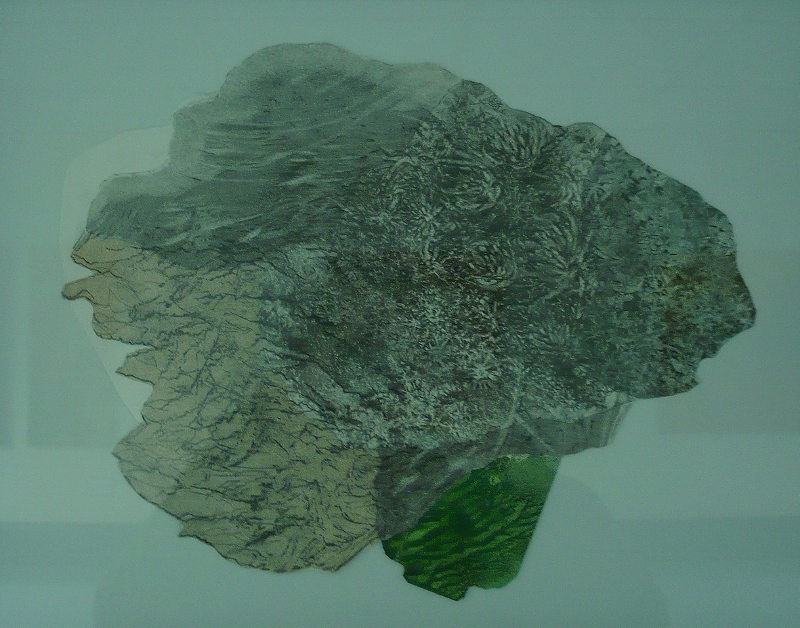 Using a variety of drawing materials, papers and sometimes digital print I collaged different elements to form cohesive landscapes, 'rock maps' and 'moor lumps'. In this exhibition these sit in contrast to the larger scale drawings encompassing wide mountain vistas and 'bigger view' paintings, they play with scale and offer another dimension to my ongoing investigation of the mountain landscape. The Small Gallery is an interestingly intimate space for a hugely busy hospital hub (many thousands of people walk through here each year) and the 'long corridor' further on is filled with art work from GHAT's big collection, including Toby Paterson and Kate Downie as well as a space curated by workers at the hospital. Together with The Suttie exhibition space upstairs (also GHAT) which has changing exhibitions, Aberdeen Royal Infirmary is a really interesting art destination. Stunned as usual by the colours and shapes of foliage against sea, sky and stone in the Peloponnese and nearby islands. 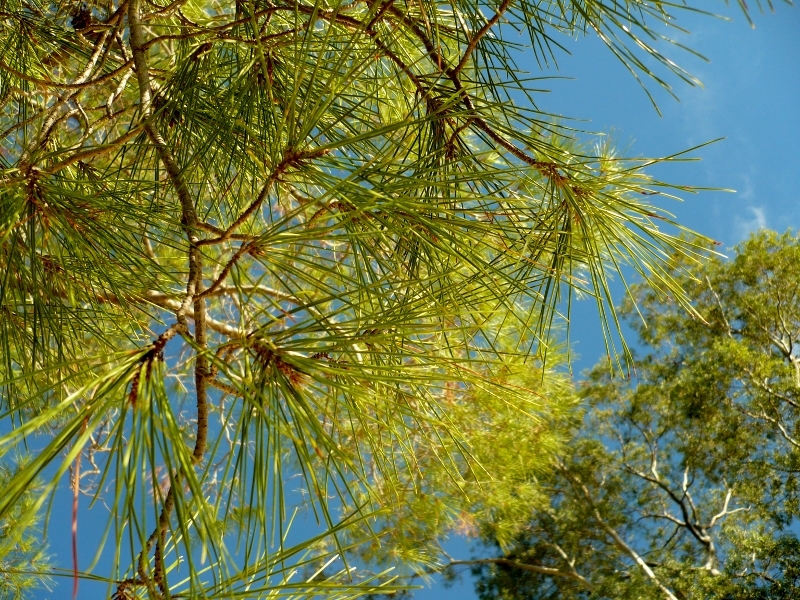 A range of greens from grey olive to deep Balkan pine. From the summit of Hydra, sun on the sea curving away to distant dotted islands in the clear golden light of October, mellow and warm on the crumbling ochre-white sandstone of the hillside, thick with phoenician juniper and holm oak . Clumped pink cyclamen among tinder-dry pine needles, the strong scent of drying oregano and a jumble of vivid prickly pear ranging over the headland at Nafplio. 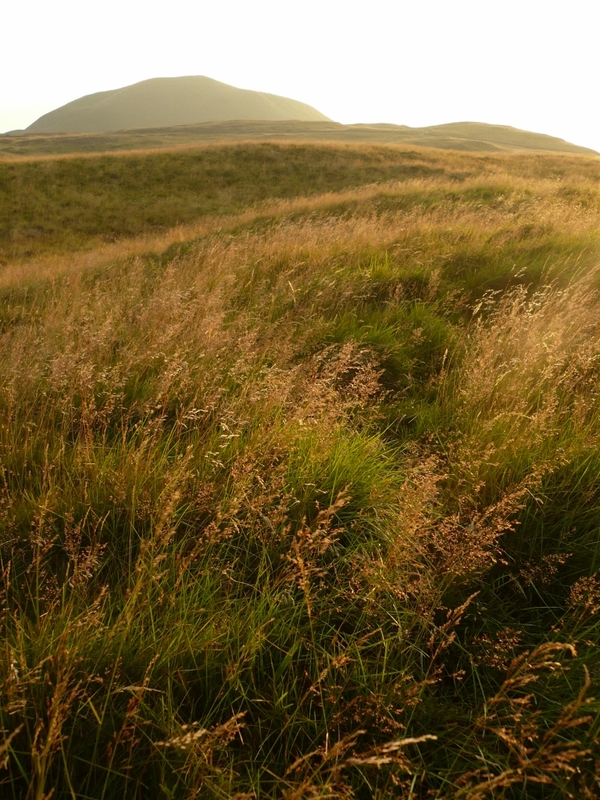 An escape from the studio for a few evening hours at the end of August walking and drawing in the Lomonds. There was a still, golden atmosphere, warm and buzzing with insects. Sitting in the hollows to the north of the path running between the two hills, there's a clear view of both and of the farmland below leading away to a smaller line of hills. A seemingly simple landscape but full of detail, the patchwork of pale gold late summer arable fields with dark boundary lines of hedge and trees stretching away to the distance and the waving blond grasses and clumped purple heather of the hillside all around. Sounds were the light breeze in the grass, murmured voices of the passing walkers on the path and the sheep in the distance. As the breeze dropped biting midges arrived so up in search for the remains of 'Maiden Castle' on the north side of the brae. Having no map and after wandering through the hillocks and round still bog pools of water boatmen found no sign of ramparts. The breeze had got up again and there was time for another drawing. Further investigation of the shielings in Glen Beanie with a great group of artists. 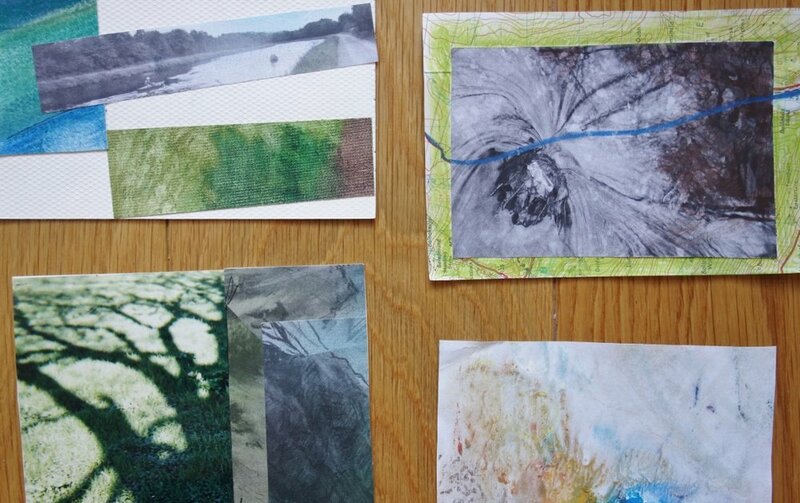 Recording plant life, rock rubbing drawings, postcards made to send, collaborative red wool experiments (sheep and clearances) and a gift for the glen. Inspiring day. So many possibilities. Playing with the book forms practiced on a recent course. 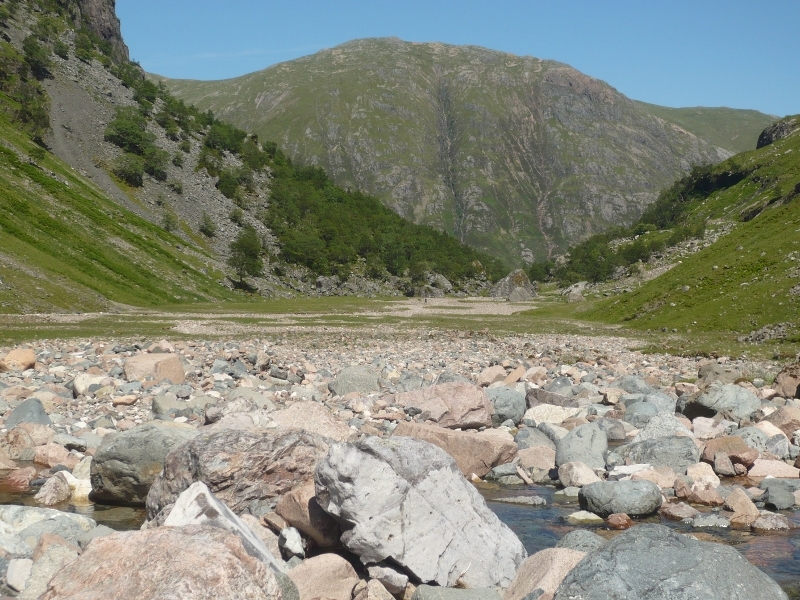 Massive inspiration for drawing at Glencoe at the weekend. Sweeping contrasts of scale between huge mountains and ground-hugging flora. 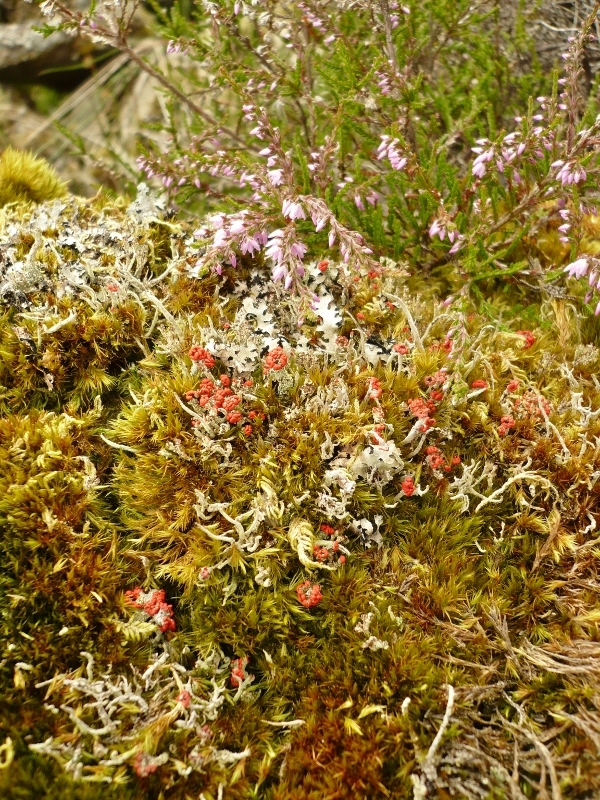 Delicate saxifrage, wild thyme, lady's mantle, moss campion, tormentil, roseroot, and water avens. 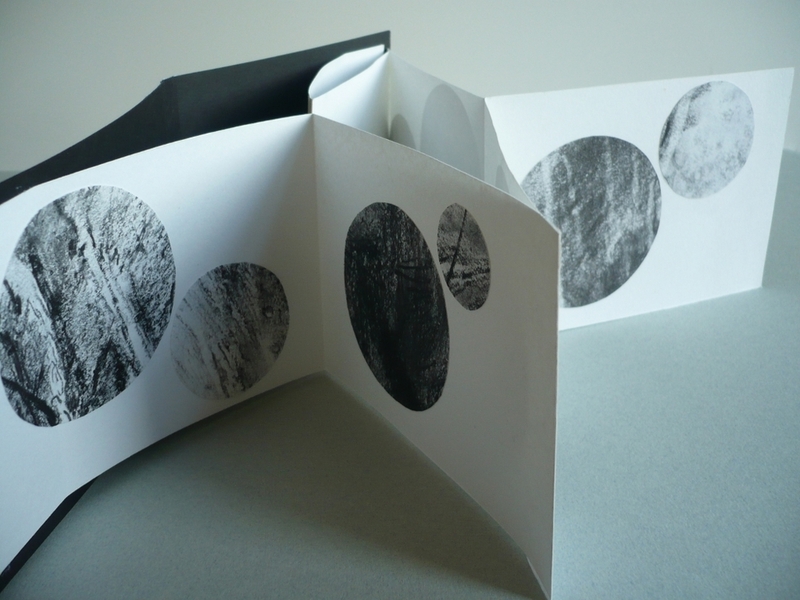 Brilliant and productive time last weekend at a two day artist's book workshop at Birnam Arts. 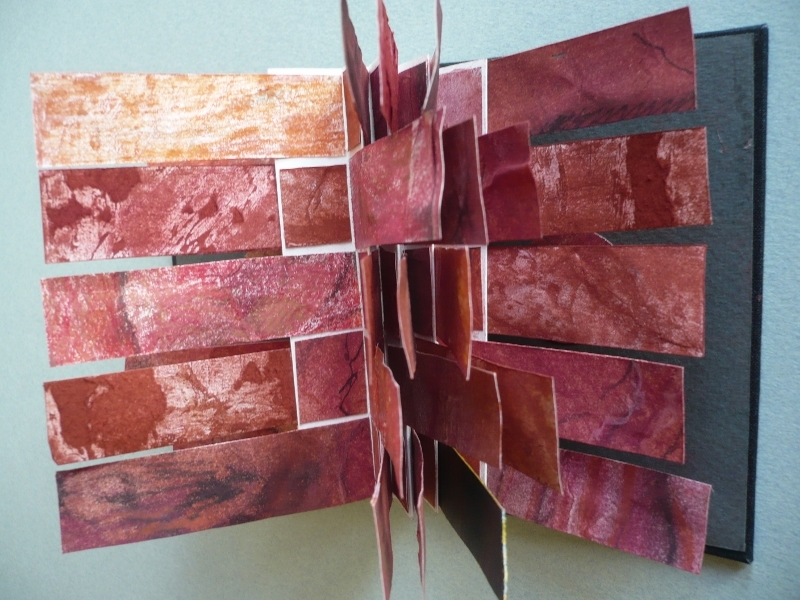 It was organised by PVAF and led by the excellent Susie Wilson who took us through a range of paper folding and bookbinding processes. By the end of the second day we were really inspired by the prototypes we'd created. A weekend well spent with a great bunch of artists. 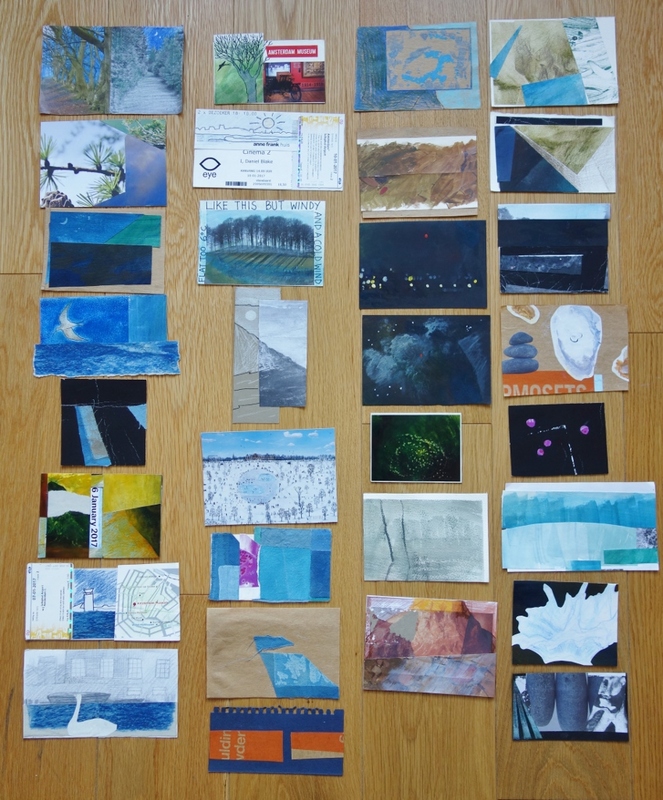 Inspirational morning with artist friend Rosie in the Sma' Glen, Glenalmond, drawing and painting between showers in a small plantation of Scots pine and birch up by a waterfall. Lying a large sketchbook on a flat rock under one of the birches, I 'traced' the shadows of the moving branches. Really looking forward to trying this again when it's less windy. Really delighted my drawing 'Walk With Me' won first prize at open art competition 'Moving Mountains' at the Lime Tree Gallery in Fort William. Organised by An Ealdhain Arts Trust to coincide with the Fort William Mountain Festival last weekend. The exhibition runs until Sunday April 3rd.